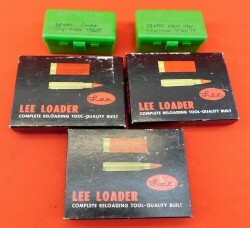 Three Lee loader's 45 ACP/45 auto rim. 308, and 38 spl. All sets are complete with papers. Sold as a lot of 3. 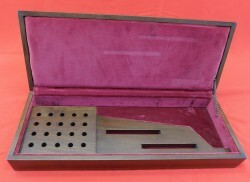 Also included 100 rounds of 38 SPL fired brass in plastic boxes. 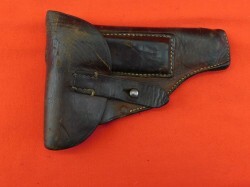 Henry Boker bullet corkscrew. This piece is 4" overall maker marked. 9 1/2" 1 row mould marked improved #13 round cavity. 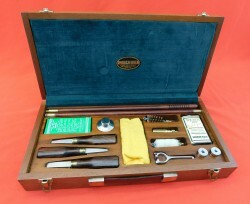 Light spots of cleanable corrosion,clean cavity. Nice example. 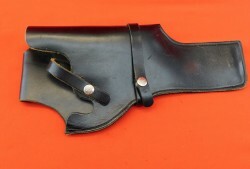 Complete holster unit for the Lahti model 40 semi-auto pistol . 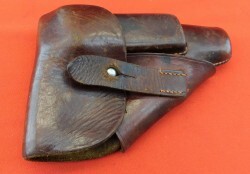 original leather holster with the three crown mark on the flap. Two original magazines, tool and cleaning rod. 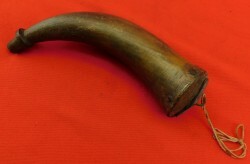 Antique powder horn 8 1/4 overall. 2 1/4 across the base. No cracks, base attached with old iron brads. 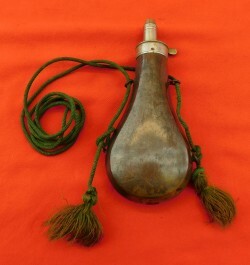 This horn appears to be circa 1870's. 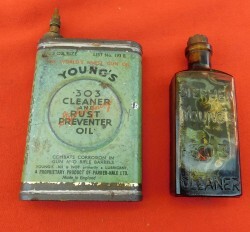 Nice old example. 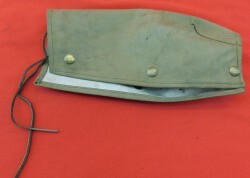 Lee Enfield No 4 action covers all marked W.M. Co. 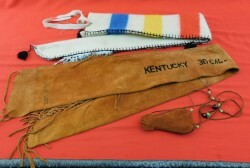 Lot of Frontier/Western/ related material. 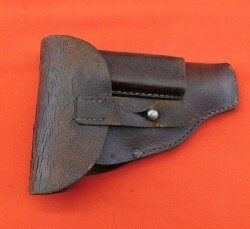 This is a lot associated with muzzle loading and black powder guns and shooting. 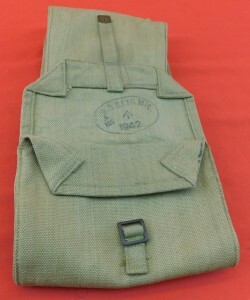 Canadian C broad arrow marked bren case, complete with strap and dated 1943. 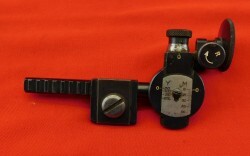 This is a hard to find original Lyman 524 receiver sight for the Winchester Model 52. 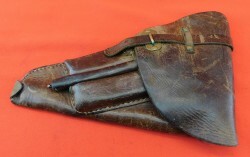 Sight retains about 90% original blued finish with some storage dust and scattered light rust spots.